Photo by AJB Photography (thebarrowboy). Watching a horror flick with a scaredy cat can be a major bummer for both parties, but it doesn't have to be that way. These tips will make all that horror more digestible for your fearful friends and family. Scary movies are a lot of fun in the theatre, but it's probably way too much for someone who's not into it. Don't drag them into a massive dark room where the sound is booming and there's no escape. 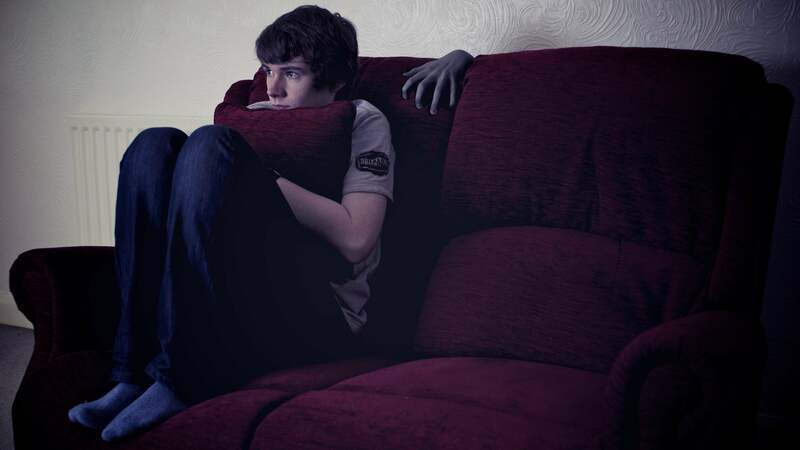 Watch your scary movies at home, where they can be comfortable and leave the room if they need to. That way they can go preoccupy themselves with something else instead of just sitting in the theatre lobby — or worse, dragging you home too. Light helps a lot when someone is scared. I know, you want to turn off the lights to set the mood — I do too — but it's too much for your shaking significant other. Turn those lights on, all the way, so they feel safe. Better yet, watch scary movies during the daytime surrounded with natural light. Not only will they feel safe, but they will have time to forget about the scares before it's time to hit the hay. Give that weenie something they can grip tightly when the going gets tough, and something to hide behind so they can block their view easily. You could wrap them in a blanket, hand them a pillow or cushion, or just let them grab onto you and hide in your chest. There's strength in numbers. If you can gather some friends or family, you'll make all the scared folk feel more safe and comfortable. They will feel like nothing can happen to them because there are so many of you. Have a horror movie party and everybody will be on board. I was getting ready to watch a horror movie with my girlfriend one day when I saw her staring intently at her phone. "What are you doing?" I asked, and she said "Reading a summary of the movie's plot." When I asked her why she'd want to spoil it for herself, she said that knowing the twists and big moments would make her less scared because she could mentally prepare for them. Spoilers might be able to do some good after all. A bowl of crunchy, salty snack food will help calm the nerves of any moviegoer. Chips, peanuts, pretzels, crackers, veggies and dip — it's all good as long as it crunches. Brings new meaning to the term "comfort food." Normally, you want the brightness to be well balanced on your screen. You want the blacks to be black, so darker scenes can be viewed the way they were intended. But this makes scary movies much scarier for those who aren't into it. So turn up the brightness — not the backlighting — so everything on screen is a bit more visible, even in those super dark scenes. More visibility means less scary. People thing horror movies are scary because of the imagery, but that's actually a small part of it all. The real power of horror films is all in the sound. From deep, unsettling tones to loud, dramatic scare chords to creepy, heart-pounding music, horror sound design is what makes everything so intense. If you turn all of that down to the point it's just barely audible, the scares lose a lot of their punch. I love a good scare — whether it's me getting scared, or me scaring somebody else — but movie time is not the time. If you ever want that person to try and watch a scary movie with you again, you'll resist the urge to mess with them. That means no startling, no hiding, and no lying when someone asks if something is real. My girlfriend has officially banned me from doing Black Philip lines in The Witch, and I better adhere to that rule if I ever want her to be brave again. Last but not least, don't go about your day right after the movie. Watch something else to take their mind off of the spooks and creeps. I recommend some cartoons, a sitcom, or maybe even a silly YouTube video. My personal favourite palate cleanser is the movie's special features! Seeing how things are done behind the scenes reminds your fellow viewers that what they just witnessed was fake and that everyone is just having fun.